Indelible Grace began as a ministry to college students. “As these students began to taste more of the depth of the gospel and the richness of the hymn tradition, many began to join the music of their culture with the words of our forefathers (and mothers! 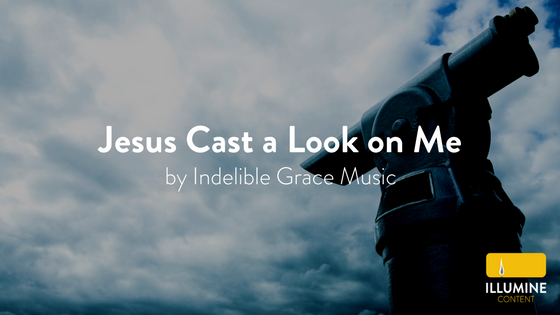 ), and a movement was born.” (http://igracemusic.com/) This song is a fantastic example of just that: joining the music of today with an old hymn text. Humility and thankfulness. Two things a Christian can’t have enough of. This song is a quick and simple prayer for both. Like I said, we can’t really have enough humility and thankfulness, so this would fit a great variety of situations. The focus on humility makes it a natural fit in connection with Confession and Absolution. Matthew Perryman Jones wrote a very accessible melody that makes it easy for a congregation to pick up and the arrangement is simple for musicians to play.